Unfortunately, there are no vacancies in this area at the moment. Register for our Tchibo Talent Network to receive your custom job offers by email in future. The0 last? 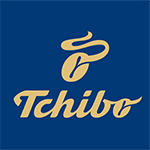 of Tchibo GmbH published job listings are shown in the following.